Brisbane caused a round one shock when they beat reigning premiers West Coast by 44 points at the Gabba. A run of nine unanswered goals starting early in the second term propelled the Lions to a 15.12 (102) to 8.10 (58) victory. The Eagles were in control early on, kicking six goals to one in the opening term, but they managed only two more majors in the rest of the match. The Lions, who only won one of their first 13 games last season, saw small forwards Lincoln McCarthy and Charlie Cameron star as they got their 2019 campaign off to a sensational start. Chris Fagan's team trailed by 27 points at the first break but then booted 7.1 in the second quarter to take a seven-point advantage into half-time. Former Geelong player McCarthy kicked a career-high four goals on his Brisbane bow while Cameron, whose 2018 season ended early with a foot injury, booted three majors. 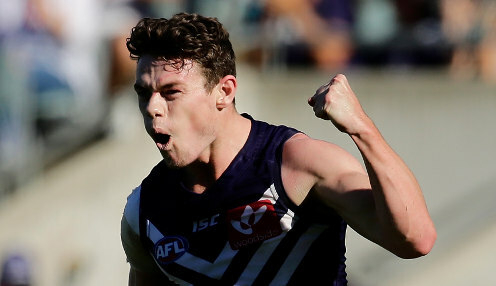 Another Lions debutant, Lachie Neale, had a team-high 29 possessions. The visitors kicked three goals in the final four minutes of the opening term as they initially looked to be unaffected in having lost six players from their premiership-winning team last year. But with McCarthy and Cameron scoring two goals each Brisbane turned things around in the second quarter and put them on track for a first win over West Coast since 2012. The home side booted three more goals in the third term while keeping the Eagles scoreless in the quarter. After quarter time, the Lions kicked 14 goals to two, from 43-32 inside 50s and a plus-22 contested possession count. Brisbane are 1/1 to win their next game against North Melbourne, who are 17/20. The Lions are 91/100 with a 9.5-points start.